The Criminal Minds‘ band is back together! Well, kind of. Last night’s episode, “Taboo,” brought SSA Emily Prentiss (Paget Brewster) back to the BAU. When Emily walks into the BAU with a box of Spence’s favorite doughnuts, it’s almost like she never left. She falls seamlessly back in with the team. 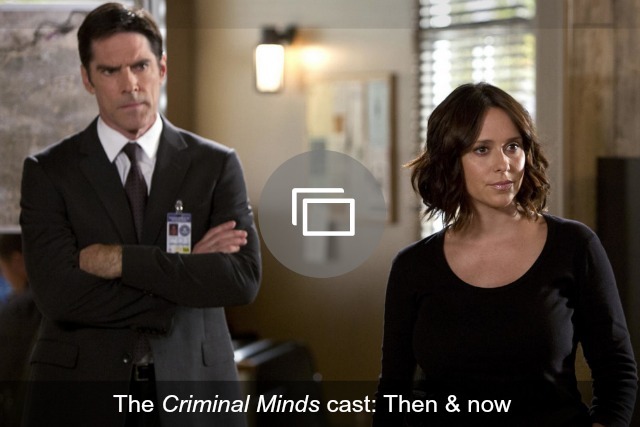 This episode is also the first one that does not feature SSA Aaron Hotchner (Thomas Gibson) — or “Hotch” as he is most often called by his team. Speaking of Gibson, fans might recall he was fired from Criminal Minds this past summer after an incident in which he assaulted a writer on the show. It was explained to Emily on last night’s episode that Hotch is out on a special assignment, but it remains to be seen how his permanent absence will be explained throughout the remainder of the season. I almost hate to admit it, but Gibson’s absence went largely unnoticed by me during this episode. Emily’s return seems to have brought a breath of fresh air to the cast and the show, which quite frankly, was becoming somewhat of a snooze-fest for me. 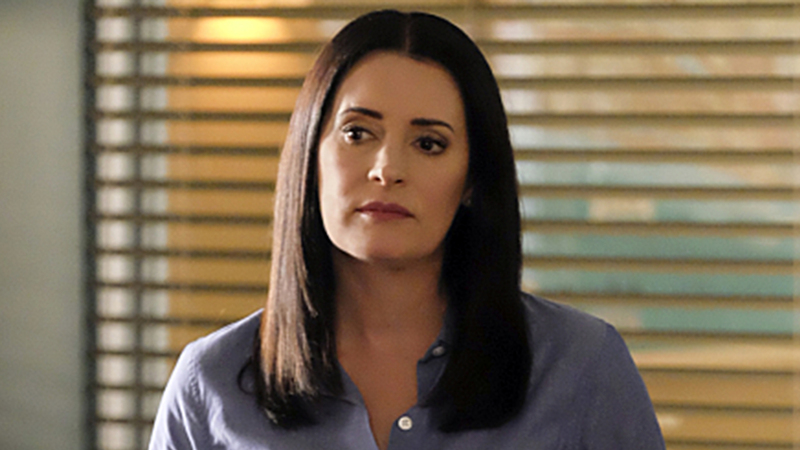 These shows deal with some pretty grim subjects, but I’ve always loved the way Paget Brewster brings a certain even temper and lightheartedness to Emily Prentiss. She’s like the big sister of the team and is often a light in the tunnel of darkness that is usually a CM episode. But enough about Gibson. Did you guys catch the sexual tension? There is a bit of a cute moment when Prentiss, who is back temporarily from her stint at Interpol in London, starts profiling the BAU’s newest team member, Alvez, based on his desk. Of course, apparently channeling NCIS‘s Leroy Gibbs, he shows up behind her as she’s profiling him. When Prentiss and Alvez do properly meet, it becomes quite clear that there is possibly going to be some sexual chemistry between the two, which quite frankly does not surprise me. The show’s closing quote comes from Buddha: “Three things cannot be hidden: the sun, the moon and the truth.” The truth is Emily’s return seems to have rejuvenated Criminal Minds in spite of Hotch’s absence. Fans of the show have been concerned about the show’s future since Gibson’s firing, but with Paget Brewster returning to CM as a series regular, this show will probably be just fine.